The death toll from the terror attacks on two mosques in New Zealand's Christchurch has risen to 50 as one more victim was found at one of the shooting scenes. 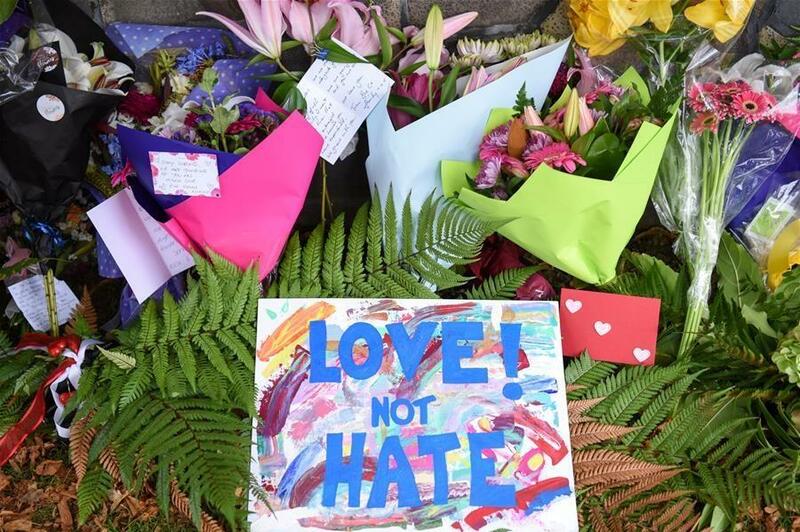 Photo taken on March 16, 2019 shows cards and flowers people placed to mourn the victims of the attacks on two mosques in Christchurch, New Zealand. The charging document showed the maximum penalty will be life imprisonment. He will appear in court again on April 5, according to the High Court in Christchurch. After the deadly attacks, New Zealand's Prime Minister Jacinda Ardern said on Saturday the country's gun law would be changed. "Our gun law will be changed," said Ardern, noting that the killer had a legitimate gun license. The prime minister told the public that the suspect of the deadly attacks used modified semi-automatic weapons. Altogether five guns were discovered, two of which were semi-automatic guns. Other weapons and firearms were also retrieved by the police. Major public events during the weekend have all been cancelled across New Zealand and security has been beefed up in places like the airport. Religious institutions on Saturday afternoon opened their doors to all faiths as a symbol of peace, while businesses chose to stay open as a sign of strength and the people of the garden city decided to come together in a show of unity. Not far from the mosques where the shootings happened, people came to place flowers to express their condolences to the victims.